For everyone quiet, shy, introverted, or socially anxious, finally be who you are without fear: your true self. With familiarity, humor, and authority, Dr. Hendriksen takes the reader through the roots of social anxiety and why it endures, how we can rewire our brains through our behavior, and—at long last—exactly how to quiet your Inner Critic. Check out the Free Resources tab for more! Are you shy, quiet, or socially anxious? 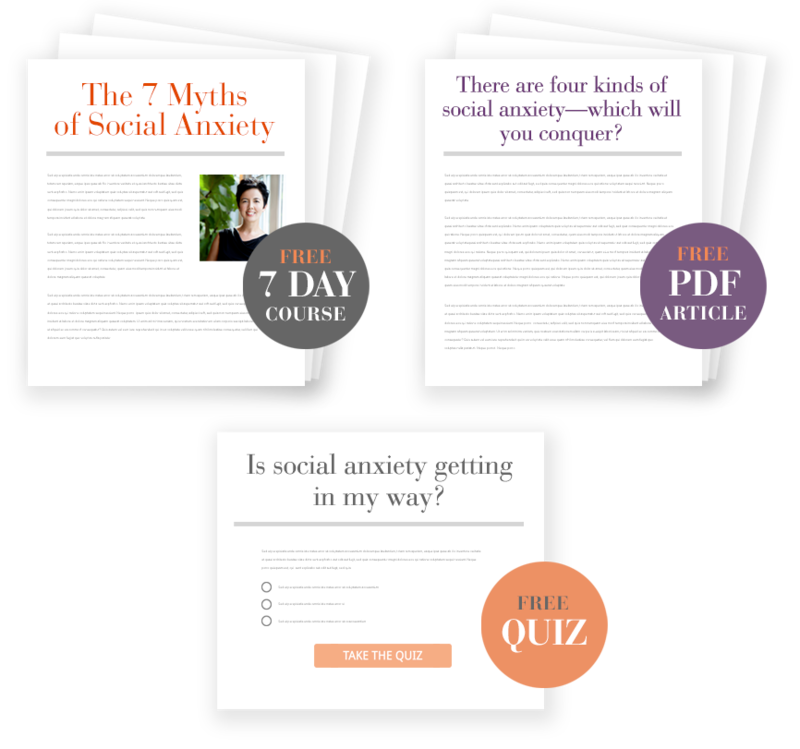 Learn to feel more confident and get through social anxiety with 7 days of tips—straight to your inbox! Interviews, email courses, and other goodies to feel less anxious and be myself? Yes, please. Meet life’s challenges with evidence-based research, a sympathetic ear, and zero judgment. We’ll use the best of psychology to help you be happier, healthier, and most importantly, yourself. • Why Am I Still So Tired?